There are no ocean alerts posted at this time. 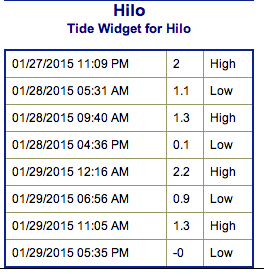 Hilo side: Surf heights are expected waist to chest high. The best breaks open to the swell could see waves up to shoulder high on the sets. 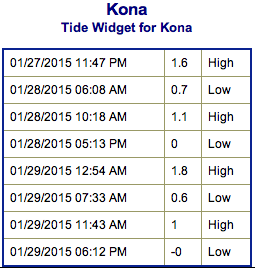 Kona side: Surf heights are forecasted to be waist to chest high. Head high sets are possible as the swell peaks in the afternoon. South: Southerly spots open to the west-northwest swell could get waves wrapping waist to chest high. Breaks open to the trade swell could see waist to chest high waves as well. 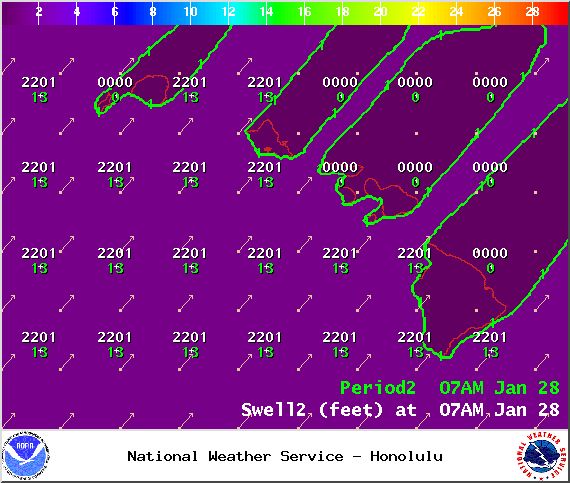 A storm that developed off of Japan, has brought another solid west-northwest swell for the islands. 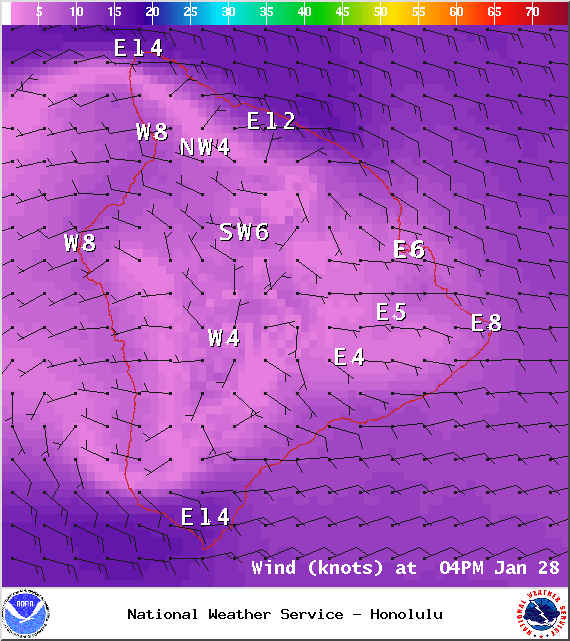 The Big Island is heavily shadowed from this swell but surf heights are still expected to get up to chest or shoulder high by Wednesday afternoon and into Thursday. 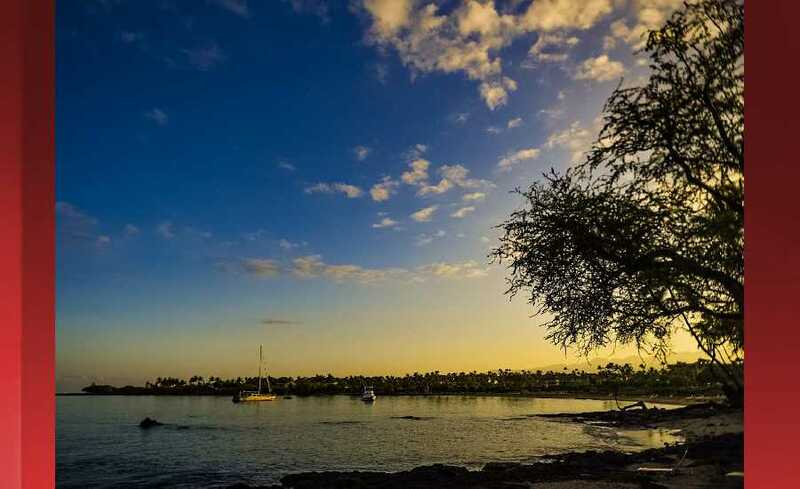 This swell will fade late Thursday into Friday. 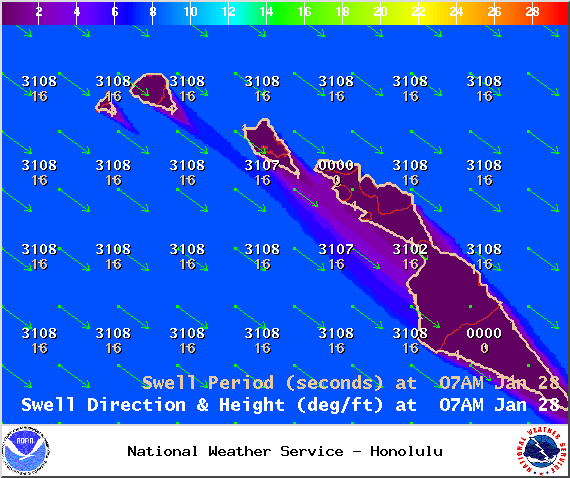 This same storm could bring us a reinforcing swell for the weekend. 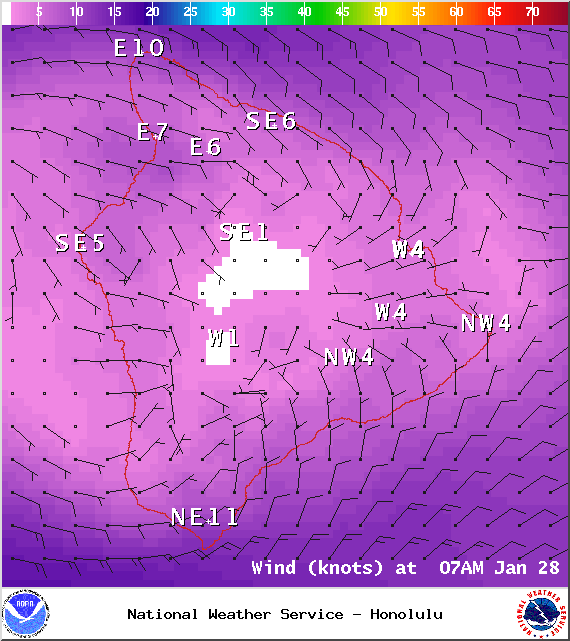 This time showing strongest for the Hilo side with possible overhead to well overhead surf should the system reorganize as models are anticipating. Nothing to get excited about out of the SPAC. 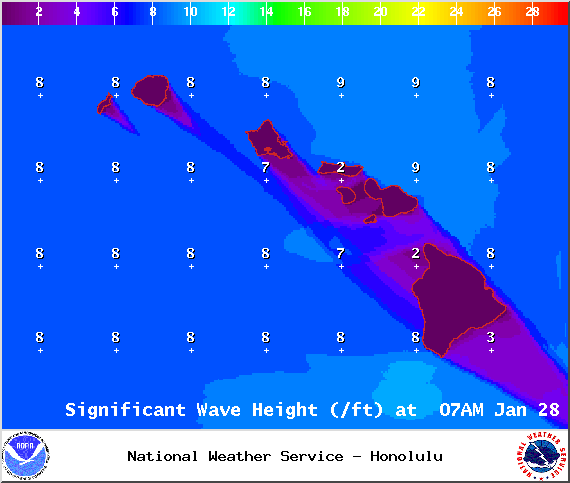 Keep in mind, surf heights are measured on the face of the wave from trough to crest. 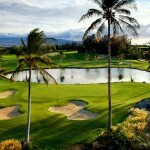 Heights vary from beach to beach, and at the same beach, from break to break.